Our feet love passing through our fine, green grass. But are you aware your lawn does even more than feeling and looking good? Lawns enhance the air quality, lower the surface temperature and generate oxygen. That is another purpose of making sure your lawns remain healthy to enable they keep creating these perks. One of the best ways in keeping your lawn and garden vibrant, fresh and healthy down to their roots is the application of fertilizer. 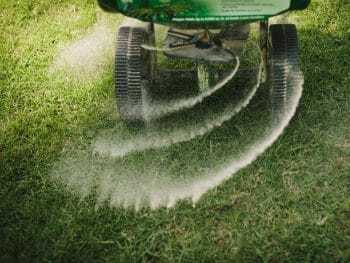 Get to know why fall is considered one of the best time for lawn fertilization and learn all you have to know concerning the best period to fertilize. Should you fertilize first? Wait until the rain comes? Or wait for the best period of year to fertilize your lawn? Summer heat isn’t good for your lawns. Your grass roots use up a lot of nutrients from the soil when it’s very hot. So applying a fertilizer at the end of summer helps to replenish those nutrients. Fall’s temperature is cooler and offers the best setting for these lawns to regain their strength. Fall’s morning dew gives moisture which enable turf to absorb the fertilizer. The grass can still build stamina before the cold winter. Improving root growth in fall results to a greener, healthier lawn in spring. There are many ways in applying lawn fertilizer. Making use of a spreader gives even greater coverage compared to when fertilizing using hands. 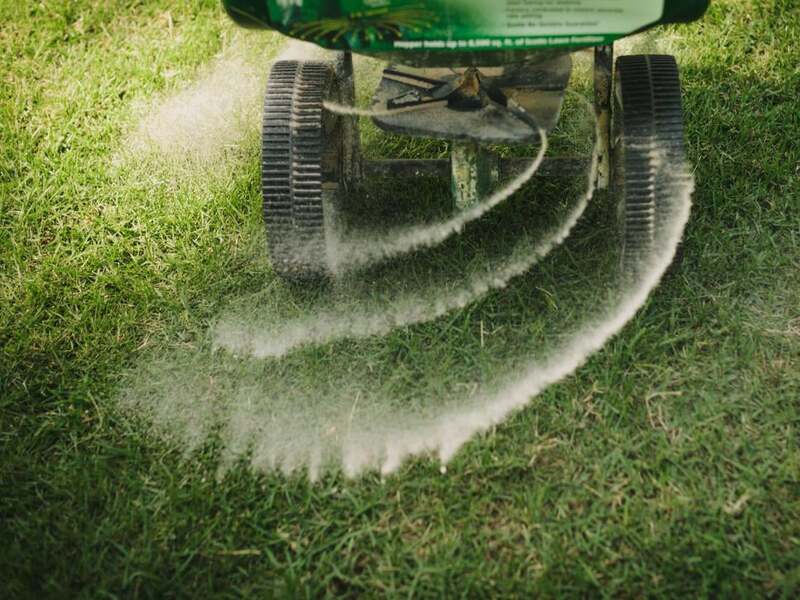 Applying fertilizers with hands usually ends up in burns at areas the fertilizer is over concentrated and result in areas that end up not getting enough fertilizer required. Rotary or broadcast spreaders are simple to use and they do not result to striping like the drop spreaders. The benefit of the drop spreaders is that there’s no chance of spilling fertilizer on sidewalks, streets or driveways. After applying these fertilizers, thoroughly water the lawn. Watering cleans the fertilizer remains off the lawn to prevent burns, and it aids the fertilizer to easily sink down to the soil to enable it work even faster. Keep the lawn away from pets and kids for the period of time on the label, which is often a day or two. You do not need to utilize these fertilizers very often, but they are more expensive. 3 or 4 times per year would be enough, if only using this type of fertilizer. You get faster results when using a fast release fertilizer, but you need to apply these fertilizers in smaller dosage and more often. You may get your lawn burnt if you use a fast release fertilizer too frequently. 6 to 8 times per year would be good for this type. Try identifying the weeds before making use of a weed and feed Fertilizer and ensure your weed is also listed on this product label. Take good care around shrubs, trees and garden plants. Just use this type on lawns and hand pull weeds around your plants. The importance nutrients are not always as concentrated in materials like these, so you need to utilize a lot.  Dry or compost manure before putting it to your lawn, and also be informed that most manures, especially horse manure, may also contain weed seeds. Best used for pots and containers. Liquid fertilizers are not often recommended for lawns, due to the difficulties in applying them and they need to be applied often. Overall, fertilizing your lawn in fall should be easy-peasy with the above tips. Let us know if you have any more questions.